SPOT.ph blogger Paul Daza on the reboot of the Tom Clancy classic: better or worse? Read on to find out. STORY: After he's nearly crippled as a Marine in Afghanistan in 2003, Jack Ryan (Chris Pine) is recruited to the CIA by Thomas Harper (Kevin Costner). Jack's first assignment? 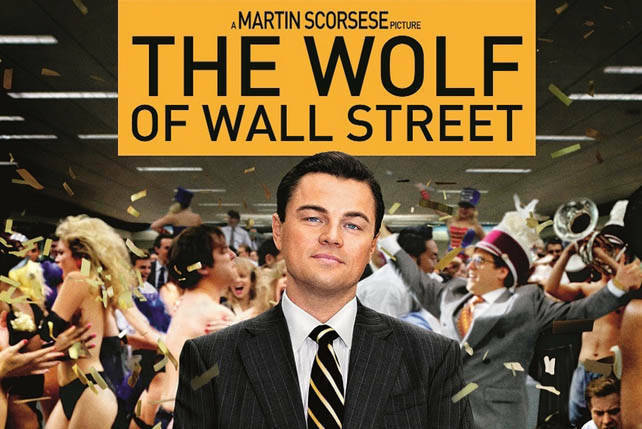 To work covertly in Wall Street as a finance analyst. There, he uncovers a Russian terrorist plot to trigger another Great Depression. Jack flies to Moscow to learn more, and hopefully, foil the scheme of oligarch Viktor Cherevin (Kenneth Branagh). Chris Pine as Jack Ryan. With the success of the rebooted Star Trek saga under his belt, Chris Pine was handed another golden ticket to revitalize another ailing Paramount Pictures franchise. As a thoughtful and quiet CIA recruit who relies more on his number-crunching skills than on arrogant macho bravado, there's no confusing Pine's more muted portrayal of John Patrick Ryan with his flashier, star-making turn as Star Trek's James Tiberius Kirk. As a much younger Ryan than the one created by the late novelist Tom Clancy, Chris Pine does a fine job personifying the beloved character for a younger generation of moviegoers. Kenneth Branagh as the Russian baddie. Branagh's work as the villainous Viktor certainly supports the cliché, "Villains have more fun." 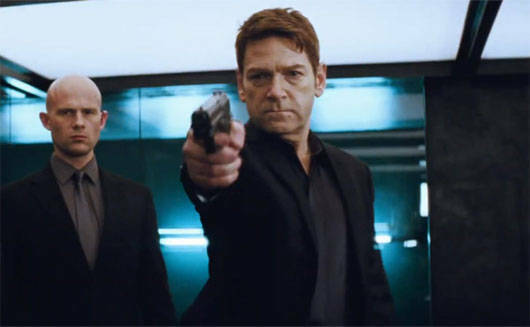 As a Russian banker scheming to bring America to its knees, Branagh is as scary as Javier Bardem's Silva from Skyfall, the kind of bad guy who won't think twice about beating an aide to a bloody pulp for incompetence. Kenneth Branagh-the director of Shadow Recruit-even gives Kenneth Branagh the actor a more intriguing introduction than the one he gives the movie's titular hero. The film's second half. 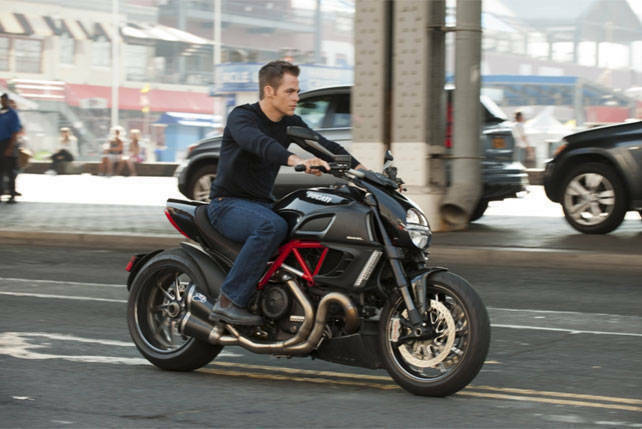 Though a lot happens in the first half of Jack Ryan: Shadow Recruit, most of it is exposition to show how Ryan ended up in the CIA, and later, in a job on Wall Street. And it's while analyzing a client's deposits that Ryan uncovers the plot that sends him to Russia. It's all well and good, but not really compelling. In the second half, however, the movie tightens the screws beginning with a gripping sequence set in "the finest restaurant in Moscow." (Who knew that Moscow's finest dining establishment had techno music blaring from speakers like it was a disco for socialites?) As Ryan, his fiancée Cathy Muller (Keira Knightley) and Viktor Cherevin try to "enjoy" their meal, the film grips the viewer in a vice and doesn't let go until it all ends some thirty minutes later. The close-ups. There are two problems with the close-ups in Shadow Recruit: first, quite a few of them are out of focus; second, there are too many of them in the action scenes. I counted at least three shots of Chris Pine that were out of focus in the scene where he's talking to Kevin Costner during his first night in Moscow. Later, it's Keira Knightley who's victimized by the focus-puller with failing eyesight. Such visually apparent mistakes are unforgivable in a major Hollywood production, especially in one that's also being exhibited on IMAX screens! As for the action scenes, director Kenneth Branagh and cinematographer Haris Zambarloukos would have done well to add more wide angle shots for their coverage. For instance, in the helicopter assault over Afghanistan that ends Ryan's stint as a Marine, the absence of wide angle shots prevents viewers from appreciating the gravity of the attack. The same goes for a later scene where Ryan is running after the vehicle of Cherevin-it's simply not clear what happens when Ryan catches up with the vehicle because wide angle shots that would give the action beats more context are absent. And some of the dialogue is downright icky. When Ryan and his fellow college students at a London school see the 9/11 attacks unfold on TV, a guy actually turns to Ryan and says, "You're an American...I'm sorry." Ewww! IN BRIEF: Jack Ryan: Shadow Recruit is no Skyfall but it's an entertaining enough spy thriller, one that successfully reintroduces Tom Clancy's most famous creation to a more computer-dependent generation of moviegoers.